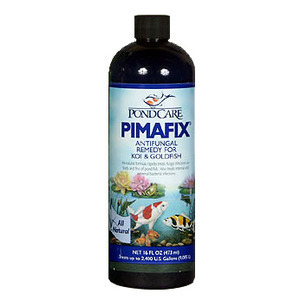 PimaFix is a natural botanical remedy made from Pimenta racemosa (West Indian Bay) oil, providing unique active compounds, which harmoniously work together to attack fish diseases. The active compounds found in Pimenta racemosa not only provide many different modes of action, but also eliminate the possibility of the development of resistant strains of disease-causing organisms. Until now, most antifungal medications resulted in unsightly water discoloration throughout the course of therapy. PimaFix does not have this disadvantage, providing better viewing of fish during treatment. 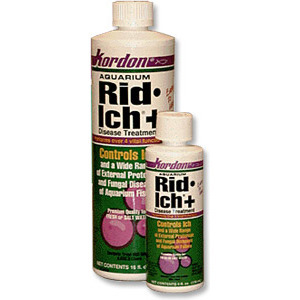 Treating with PimaFix will not harm the biological filter in freshwater or saltwater aquariums or ponds. PimaFix has no effect on pH. 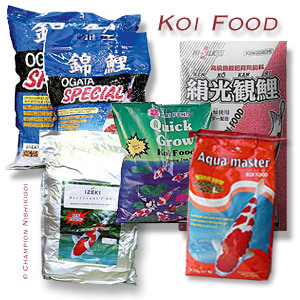 PimaFix is harmless to aquatic plants. In extreme cases of especially stubborn infections, PimaFix has been designed to work synergistically with MelaFix. 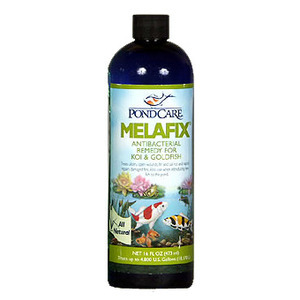 Using PimaFix and MelaFix together provides the added benefit of quick tissue regeneration and wound healing.